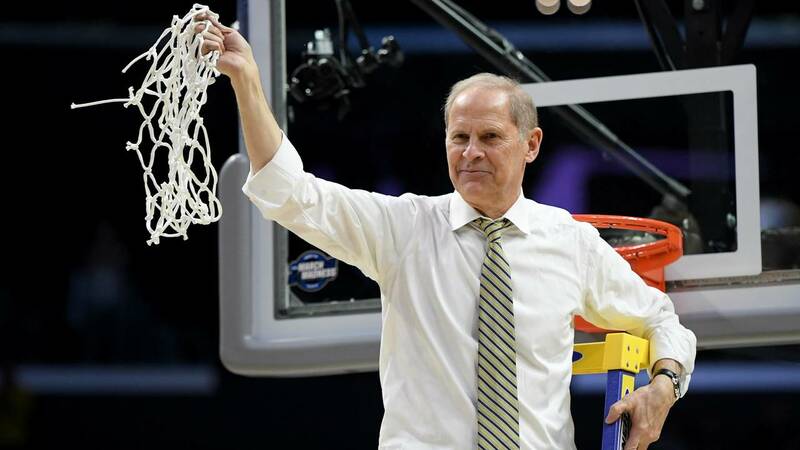 The University of Michigan men's basketball team has made two trips to the NCAA National Championship game in the past six years. They fell short in both appearances, first to Louisville in 2013 and again to Villanova in 2018. Michigan's only men's basketball national championship came in 1989 when they defeated Seton Hall in overtime. Michigan experienced a tournament drought between 1999 and 2008. However, the team started an annual strong showing at "the dance" in 2013. Since 2013, the Wolverines have made it to at least the Elite Eight round of the tournament three times and the Sweet Sixteen round four times. They missed the tournament in 2015 but reappeared a year later. Michigan was a 4 seed in the 2013 NCAA tournament. They were led by Spike Albrecht and Trey Burke in the tournament, but could not overcome a strong top-seeded Louisville squad in the final. Louisville they fell behind by 12 in the first half but a stunning spurt at the end of the period wiped out the entire deficit. It was a reality check for the Wolverines who were on a magnificent Cinderella run. They had beaten first-seeded Kansas and third-seeded Florida on their way to the National Championship. They became tournament darlings, but Louisville proved too talented at the end. Second-seeded Michigan was led by Nik Stauskas, Jordan Morgan and Glenn Robinson III as they attempted to reach the Final Four for the second straight season. The cruised past Wofford and Texas, scraped by Tennessee in the Sweet Sixteen but could not beat the Kentucky Wildcats in the final. Aaron Harrison drained the decisive 3-pointer with 2.6 seconds to lift the Wildcats over the Wolverines in the NCAA tournament Midwest regional final (Elite Eight) at Indianapolis. Michigan played its way into the 11th seed by beating Tulsa, 67-62, in the First Four round. The Wolverines promptly fell to sixth-seeded Notre Dame in the opening round of 64. The Fighting Irish were led by V.J. Beachem's 18 points on a perfect 7-7 shooting night. Michigan finished the season with a 23-13 record. Seventh-seeded Michigan opened with a 92-91 thrilling win over Oklahoma State, then found redemption over Louisville in the Round of 32, but could not top the third-seeded Oregon Ducks. Third-seeded Michigan had to fight off Houston, Florida State and Loyola-Chicago, who made the Final Four as an 11 seed. But then they had to play first-seeded Villanova in the final. Nova basically walked their way to the final, showing their strength with big wins over West Virginia and Texas Tech. Michigan was supposed to be their toughest opponent in the tournament, but the game became a blowout before too long. Michigan once again fell short in the final.